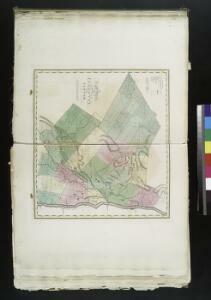 Map of the counties of Dutchess and Putnam / by David H. Burr ; engd. by Rawdon, Clark & Co., Albany, & Rawdon, Wright & Co., New York. Map of the counties of Dutchess and Putnam / by David H. Burr ; engd. by Rawdon, Clark &amp; Co., Albany, &amp; Rawdon, Wright &amp; Co., N.Y.
Map of Dutchess County, New-York from original surveys / J.C. Sidney C.E., author of 12 miles around New York.